I was looking for days when I can go around historic sites in Shirakawa area by bike, and I found that this week was a perfect choice because of mild days before it gets colder. 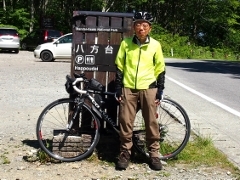 On the first day, I started pedaling from Koriyama heading toward Taishin which was northern district of Shirakawa. 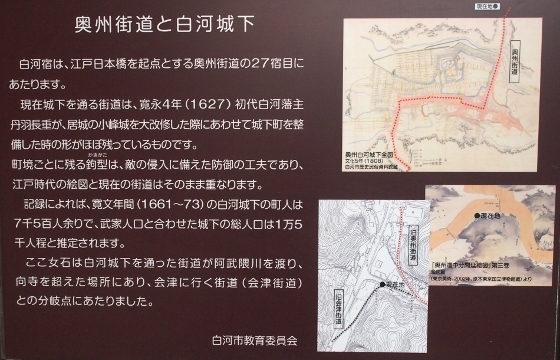 Major topic today was an old Aizu (or Shirakawa) Highway in Edo Period between Shirakawa and Aizu which went through mountainous area of Taishin. 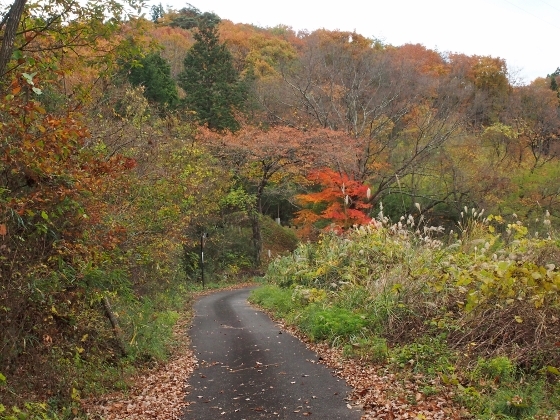 Photo above shows late autumn view along the narrow highway. 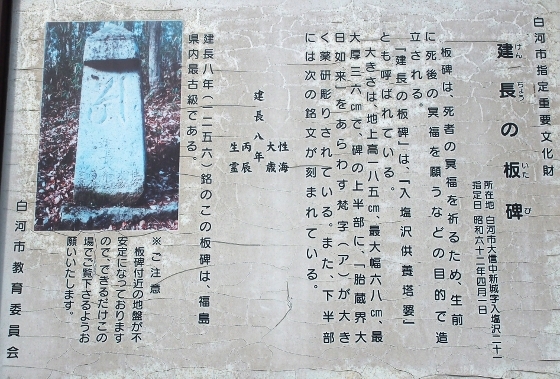 I found an “ichirizuka”, a kind of milestone which was placed every 4km in Edo Period along major highways, as shown in the pictures above together with a description board on the site. 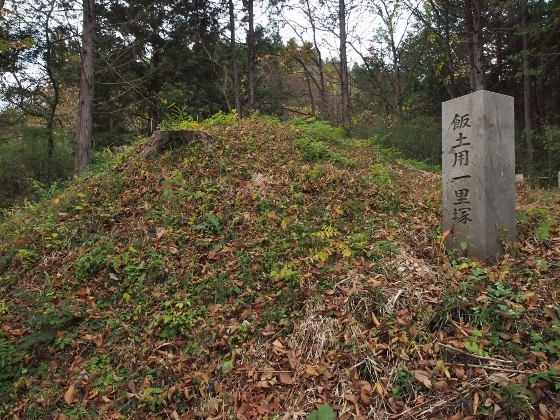 This site was called Iidoyo Ichirizuka after the name of the location. 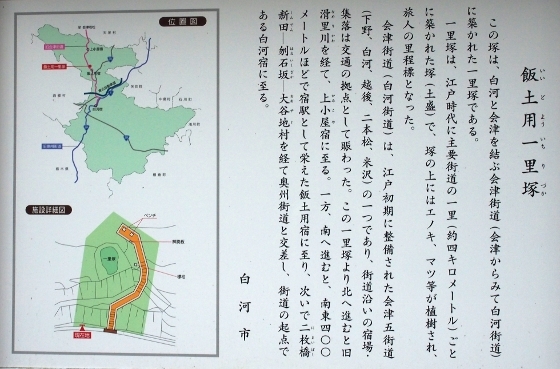 Photo above shows today’s view of Kamikoya village which prospered as one of the post towns along the highway. 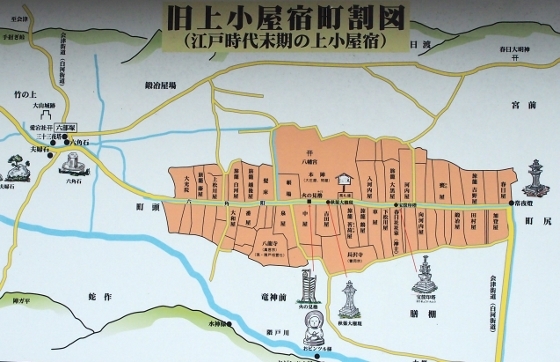 A map of the village together with history description was posted on the site as shown above. 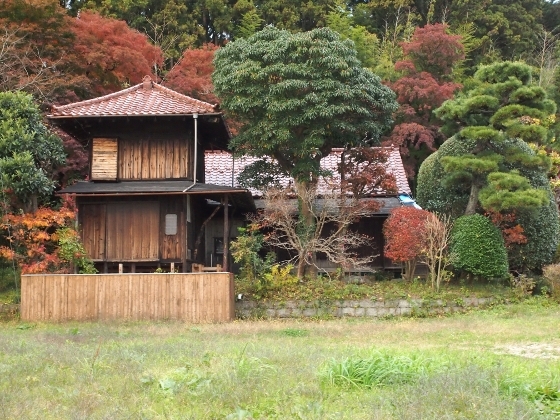 The village was formed in the late 1500’s and since then many high-ranking shogunate officials stayed at here. 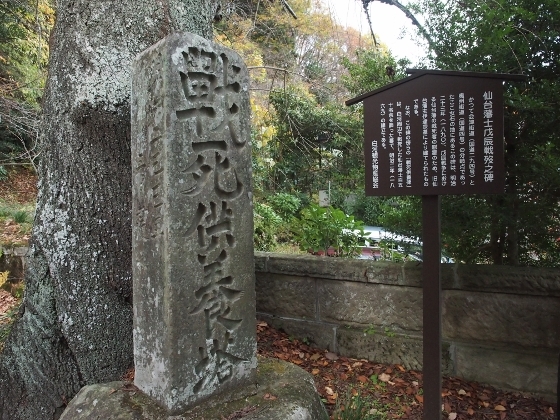 Entering into Taishin from north this morning, I first stopped at an old stone memorial as shown above. 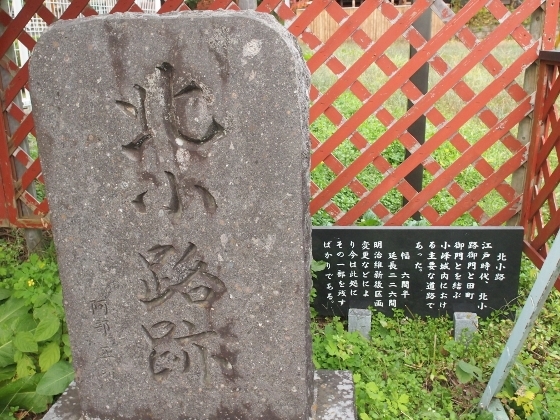 This kind of old stone plate memorial was called “itahi”. 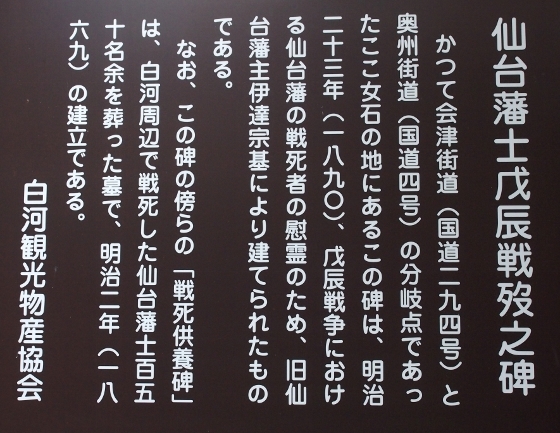 And this particular one was called Kencho-no-itahi which was inscribed as made in the year 1256. 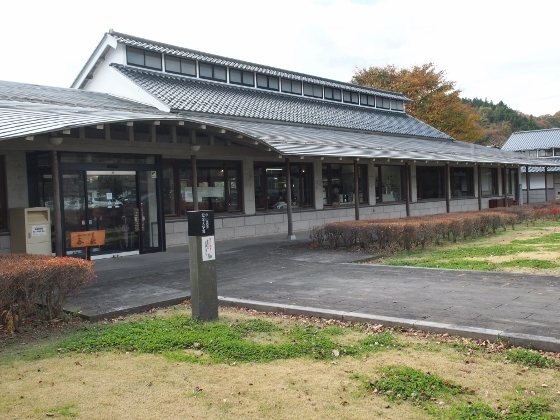 The next stop was Nakayama Gishu Memorial Library located in the central part of Taishin as shown above. 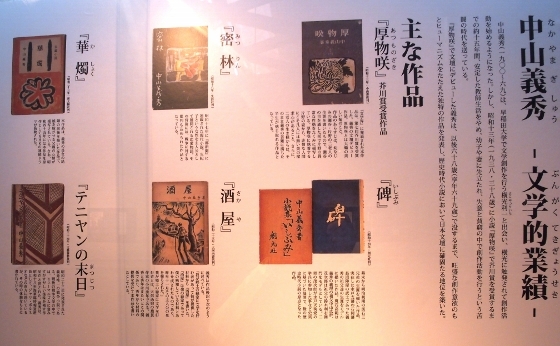 Gishu Nakayama (1900-1969) was a renowned writer from Taishin who won distinguished literary awards including Akutagawa Award. 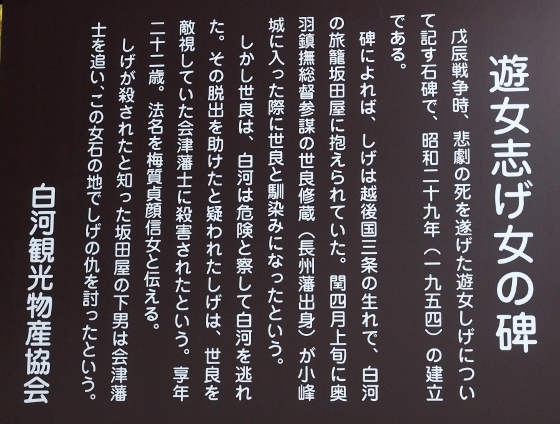 He always loved and referred to the beautiful landscape of Taishin. 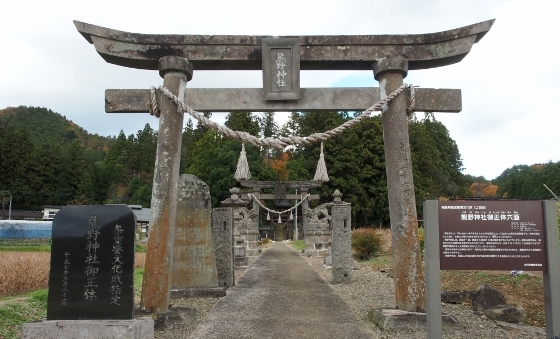 Kumano Shrine in Taishin, as shown above, holds special treasure called “Mishotai” or “kakebotoke” which combines Shinto and Buddhism. 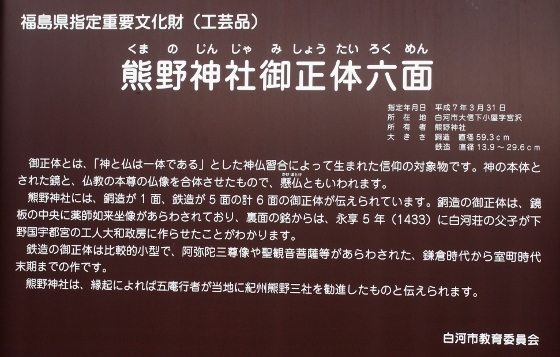 The treasure made in 1433 was designated as a prefectural important cultural asset. 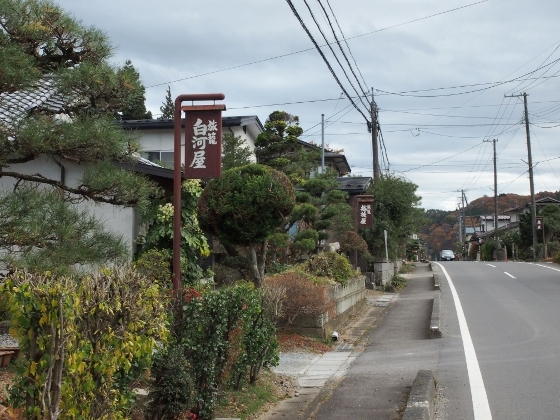 At the end of old Aizu Highway, there was a place named “Onnaishi” where it was an entry point into the central part of Shirakawa as well as the start (or end) point of old Oshu Highway which led to Edo (Tokyo). In the late 1600’s the population of Shirakawa castle town was about 15,000 and at the same time it was the 27th (last) post town from Edo. 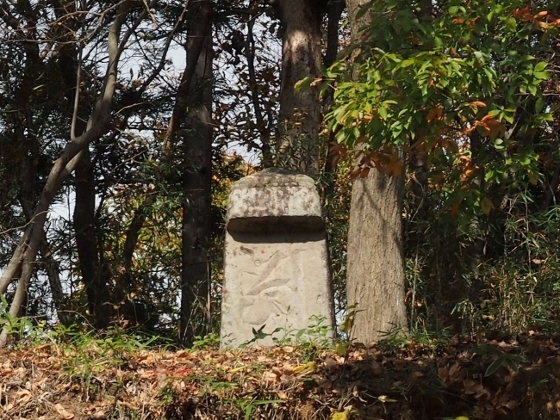 Some of the tombs for the victims of Boshin Civil War in 1868 were placed at this location. 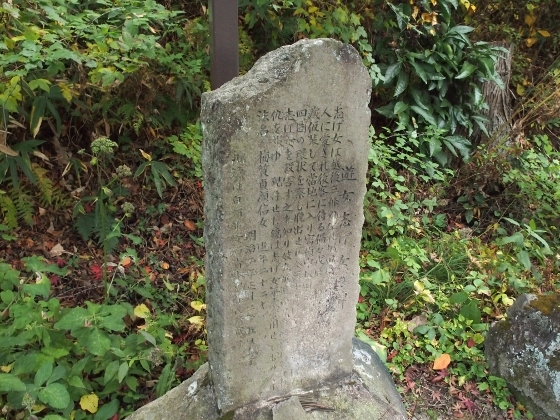 One of them as shown above was for 150 soldiers from Sendai domain who lost their lives at the battleground of Shirakawa. Another one as shown above was for a woman called Shige who was tragically killed during the war. Finally I came to the central part of Shirakawa castle town and found a historic building called Taiko-yagura. 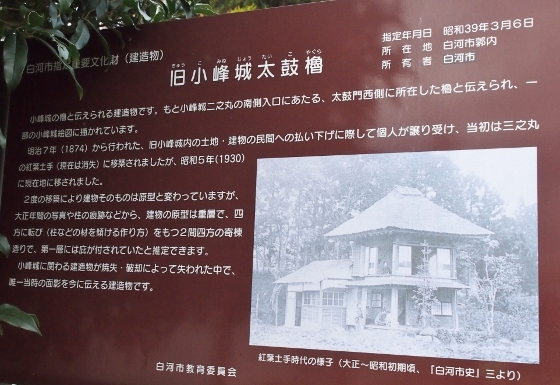 This was the only original building left today which was located within Kominejo Castle in Edo Period. It was moved later to this place and preserved. Photo above shows the only remain of the main road between Tamachi Gate in the east and Kitakoji Gate closer to the center of the Kominejo Castle.